Between 1980 and 1994, Peru endured a bloody internal armed conflict, with some 69,000 people killed in clashes involving two insurgent movements, state forces, and local armed groups. In 2003, a government-sponsored “Truth and Reconciliation Committee” reported that the conflict lasted longer, affected broader swaths of the national territory, and inflicted higher costs, in both human and economic terms, than did any other conflict in Peru’s history. Of those killed, 75 percent were speakers of an indigenous language, and almost 40 percent were among the poorest and most rural members of Peruvian society. These unequal impacts of the violence on the Peruvian people revealed deep and historical disparities within the country. This collection of original essays by leading international experts on Peruvian politics, society, and institutions explores the political and institutional consequences of Peru’s internal armed conflict in the long 1980s. 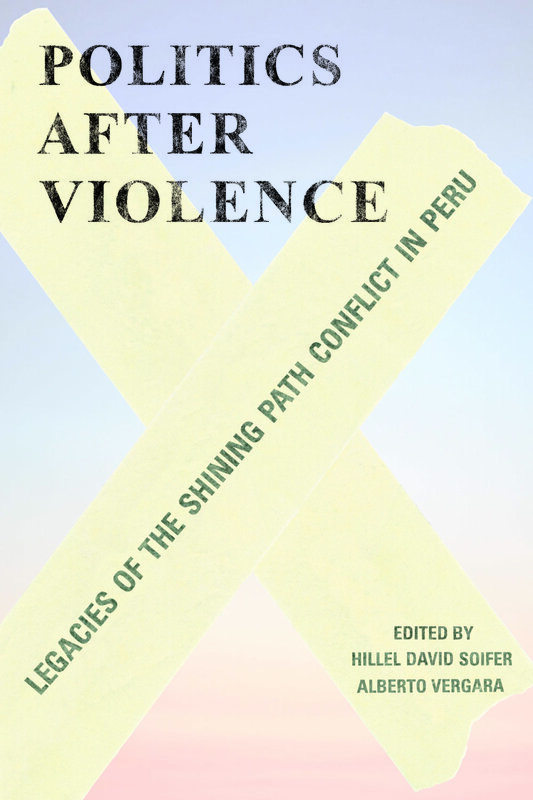 The essays are grouped into sections that cover the conflict itself in historical, comparative, and theoretical perspectives; its consequences for Peru’s political institutions; its effects on political parties across the ideological spectrum; and its impact on public opinion and civil society. This research provides the first systematic and nuanced investigation of the extent to which recent and contemporary Peruvian politics, civil society, and institutions have been shaped by the country’s 1980s violence. Contributors include: José Luís Rénique, Adrian Lerner, Livia Schubiger, David Sulmont, Maxwell Cameron, Everett A. Vieira III, Eduardo Dargent, Noelia Chávez Angeles, Jelke Boesten, Maritza Paredes, Paula Muñoz, Daniel Encinas, Arturo Maldonado, Jennifer Merolla, Elizabeth Zechmeister, Paulo Drinot, and Steven Levitsky. This book diverges from existing scholarship in developing separate explanations for why state-building efforts emerged, and for their success or failure. First, it argues that Latin American state leaders chose to attempt concerted state-building only where they saw it as the means to political order and economic development. Fragmented regionalism led to the adoption of more laissez-faire models and the rejection of state-building, while with a dominant urban center, developmentalist ideas and state-building efforts took hold. Yet not all state-building projects succeeded. The second plank of the book’s argument centers on strategies of bureaucratic appointment. Filling administrative ranks with local elites caused even concerted state-building efforts to founder, while appointing outsiders to serve as administrators led to success. Relying on extensive archival evidence, the book traces how these factors shaped the differential development of education, taxation, and conscription in Chile, Colombia, Mexico, and Peru.